It’s hard to pull off the story telling technique used in THE BEST MAN. It’s the one where you begin a novel at the end and then fill in all the gaps until the end reappears in its normal place – at the end. In the hands of gifted author, Richard Peck, the results are sparkling. But that gets ahead of the story as the young main character, Archer Magill, likes to say. The topic of gay marriage is a rarity in middle grade books. Archer is the perfect character to shine a bright light on his own understanding and many readers for sure. The story begins at the end of his sixth grade year with an important coming of age event for Archer. Even though you will probably guess what has happened in this final scene, the story roars backwards five years when Archer was six. He accounts all of the major events in his life as he maneuvers through elementary school. It allows for meaning and understanding to the celebratory ending. Heartwarming, funny, and just a great story. You’ll remember this one for a long time. FULL PLOT (From AMAZON) When Archer is in sixth grade, his beloved uncle Paul marries another man—Archer’s favorite student teacher. But that’s getting ahead of the story, and a wonderful story it is. In Archer’s sweetly naïve but observant voice, his life through elementary school is recounted: the outspoken, ever-loyal friends he makes, the teachers who blunder or inspire, and the family members who serve as his role models. From one exhilarating, unexpected episode to another, Archer’s story rolls along as he puzzles over the people in his life and the kind of person he wants to become…and manages to help his uncle become his best self as well. Archer is an endearing character who comes off as clueless at times, but it’s his marvelous way of looking at the events in his life making him the smartest person in the story. The tale reaffirmed one of my beliefs: Every kid needs a hero. For Archer it’s his Dad, Uncle, and Grandpa. Along the way he loses one but adds another important one in Mr. McLeod. I love this kind of contemporary story where you just smile after you close it for the first time. Part of the smile is there because someday soon you’ll find the time to open it up again. Peck finds a way to make this a story about growing up rather than about gay marriage. It’s the relationships and interactions of Archer with his Mom, classmates, and sister that make it so real. The moments Archer has with his Dad and Uncle are special. Sporting events, car trips, and a very special wedding help form the man Archer is to become. Mrs. Penfield resigned that June, but not because of us. She said standardized testing kept us from learning anything to be tested on. Her blood pressure was going through the ceiling, she said. We looked at the ceiling, and when we looked back, it seemed like she was gone. Richard Peck has won almost every children’s fiction award, including the Margaret A. Edwards Award, the Newbery Medal, the Scott O’Dell Award, and the Edgar, and he has twice been nominated for a National Book Award. He was the first children’s author ever to have been awarded a National Humanities Medal. He lives in New York City. 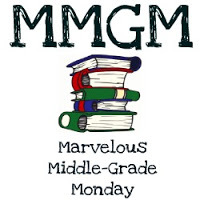 This entry was posted in Reviews and tagged male protagonists, Marvelous Middle Grade Monday, MG book reviews, Middle grade, Richard Peck, The Best Man. Bookmark the permalink. Kind of a weird title for a middle grade book, but it sounds good. You’re right that there aren’t many books about gay marriage. Glad it was weaved in just right here. The title is only weird until you realize young Archer is the best man at his uncle’s wedding. Wow, these types of books are more prevalent in YA than MG, so yeah, it’s interesting to see a topic like this for MG. Going to have to agree with Natalie above, it seems like the topic was weaved in perfectly. He did tackle a topic that’s unusual for MG, but I’m glad to see that happening. Kids need an honest view of our world. Good for Richard Peck for taking this on. I have been hearing a lot about this book, and I really want to read it. Thanks for your take on it. I’ve heard about Richard Peck’s new book and have been wanting to read it. Now that I’ve read your review, I will check it out. I’m glad Peck has taken on this subject for MG readers. It opens the door for many discussions. And, I like that it is written from a kid’s POV. I don’t think the title will grab MG readers, but is sounds like s good story! I read this last month and picked it up based on the author alone. It took me a few chapters to start caring about the POV character, but in the end I was extremely happy I finished it. I thought that until the “backstory” was finished and Archer was in 6th grade was when the “real” book started. Richard Peck is a national treasure. He’s written so many wonderful books and isn’t afraid to tackle tough subjects. We could all learn from him. I’ve heard a lot about this book and after this review am going to read it for sure!